Artificial intelligence – Should you be preparing your website? So what has bought about this fascination? I recently attended an event hosted by The Drum, titled ‘The Future of Marketing’, which featured a talk from David Cole representing IBM Watson. David provided an example of how artificial intelligence is beginning to be integrated with consumer facing websites. This got me thinking, and rumour has it, artificial intelligence interacting with consumers is not as farfetched as I first thought. This means, websites will soon be able to use machine learning to serve its users. 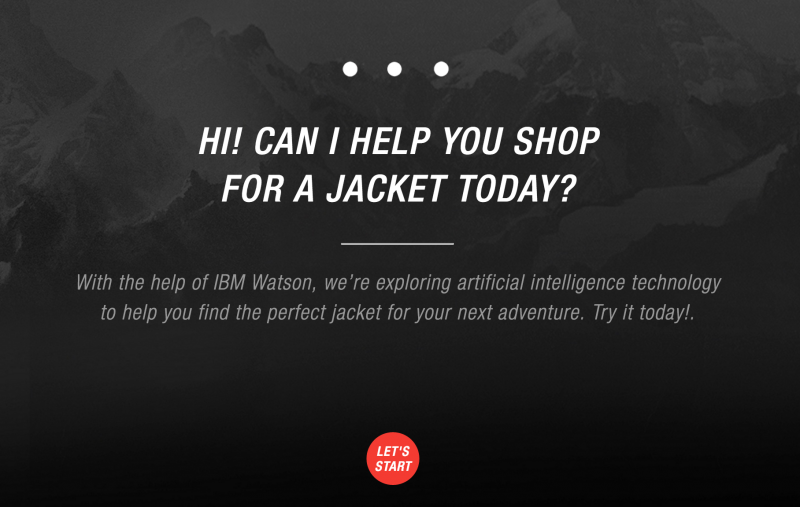 Artificial intelligence can be explained easier by using IBM Watson as an example. This is a technology platform that uses natural language processing and machine learning to reveal insights from large amounts of unstructured data. …and how can it help marketers of the future? Watson analyses unstructured data and according to IBM, 80% of all data today is unstructured. This includes news articles, research reports, social media posts and enterprise system data. How does it reveal practical insights? How is AI being harnessed currently? IBM Watson Health is pioneering a new partnership between humanity and technology with the goal of transforming global health. This is a whole new topic all together, but an interesting read nonetheless. IBM is using its cognitive systems that understand, reason and learn to help people expand their knowledge base, improve their productivity and deepen their expertise. Using cognitive computing, they are able to see health data that was previously hidden, and do more than we ever thought possible. Food for thought. The platform is already open for businesses to create and plan how this can be used in the modern day and here are already thousands of businesses and developers who are building with Watson. From gaining insights from text to analysing images and video, you can use this to build cognitive apps. Businesses can tap into the power of this data through the IBM Ecosystem platform. There are some great examples of how this has already been used here. Exciting uses to whet your appetite include travel assistants, shopping recommendations and concierge services. Still not convinced? If you’re a developer you can use the cloud platform to experiment with APIs for your app or website. You can build cognitive apps using platform as a service, BlueMix. There is some great inspiration into how this could be built into a development to provide a whole new level of UX. I’ve spoken a lot about what artificial intelligence is and how IBM Watson works, so how about seeing it in action? 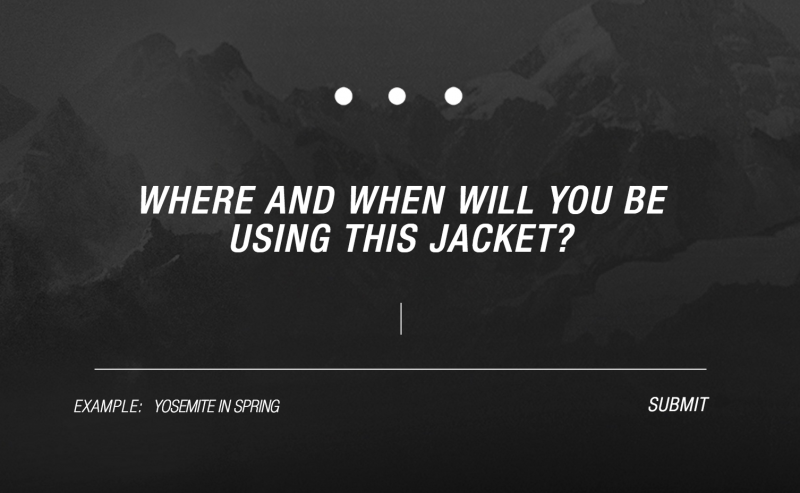 The North Face US website is currently showcasing an example of how this has been developed with consumers in mind. You can pick the option to go shopping using the personal assistant, and by answering a series of questions (using free form), you’ll be shown hat products meet your requirements. Almost like a glorified product filter, but much more aesthetically pleasing, engaging and in my opinion likely to result in a purchase. Mainly because it is not restricted by a pre-defined set of filters, but enabling you to find a product that is exactly fit for your bespoke purpose. Welcomed into the assistant, there are minimal distractions and the focus is purely on delivering content requested by the user. You’re then asked to answer some contextual questions that allows the platform to filter suitable products. The end product is a very targeted selection of products available to purchase. A very satisfying user journey in my experience. The only visible flaw I can see at this stage is users entering unrelated terms that cannot be answered using AI at this stage. Artificial intelligence is already able to learn social media, analyse language in context and help deliver content that not only resonates with your audience, but has a contextual relationship with your brands tone of voice, products and services. The end goal is to help users engage with your marketing to get to an outcome that suits both parties. In e-commerce, that could be using natural language to pair consumers to products. There are many creative applications of this and I for one look forward to seeing how businesses utilise the data to drive decisions. Nice article Jack. I have implemented AI into my virtual tours website – you can see it at https://www.360jungle.com/interact . I have utilised the http://www.api.ai and tried to create more of a conversational interactive environment. I have utilised speech synthesis and recognition to greater enhance the experience. Its still WIP but I would welcome your feedback. Best viewed in Chrome browser. Try asking questions like what is the latest news, what camera do you recommend for 360 tours, what can I use virtual tours for etc.